Netflix just dropped the trailer for 'The Umbrella Academy', will debut in February, and it gave us the first glimpse of the several characters, including the dysfunctional superhero siblings - the Hargreeves - who make up the residents of The Umbrella Academy. Here's your essential guide to all of the key characters and the actors who play them. 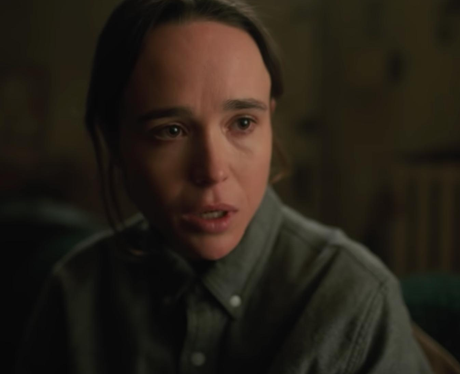 Award-winning actress Ellen Page will play Vanya Hargreeves, aka The White Violin. In the comics, Vanya is considered "the most estranged member of the group", partly because she doesn't show any particular powers at first, unlike the other students at the Umbrella Academy. As it turns out, she is the most powerful of all. Tom Hopper will play Spaceboy / Luther Hargreeves. He is the leader of the Umbrella Academy and possesses the ability of super-strength. He also has the body of a Martian gorilla, so that's nice for him. You might recognise Tom from 'Merlin' and 'Game of Thrones', where he played Dickon Tarly. David Castañeda will play The Kraken / Diego Hargreeves. The Kraken has the ability to hold his breath indefinitely and has "a secret love for his adopted sister, Vanya", played by Ellen Page. Well damn. David has appeared in numerous TV shows and films, including 'Jane The Virgin'. Emmy Raver-Lampman will star as the third Hargreeves sibling, Allison aka The Rumor. She has the ability to instantly alter reality by lying, which sounds pretty rad and utterly terrifying at the same time. Robert Sheehan will play The Séance, otherwise known as Klaus. His powers are levitation, telekinesis, and the ability to contact the dead, although his powers only work when he is not wearing shoes. You may recognise Robert as Nathan from 'Misfits'. Aidan Gallagher will play The Boy, who has time-travelling capabilities. Though he is the same age as his other adoptive siblings (30), because of a time-travel incident when he was 10, his body is now apparently stuck in time and cannot age. Lucky for some, eh? Singing and acting legend Mary J. Blige will play Cha-Cha, who is described as a "extremely violent assassin working for the Temps Aeternalis". Judging by the trailer, I think we can expect a show down with some of siblings at the Umbrella Academy. Colm Feore will play Sir Reginald Hargreeves aka The Monocle, who is an alien disguised as a wealthy entrepreneur and scientist. After forty-three infants are inexplicably born to random, unconnected women who showed no signs of pregnancy the day before, seven are adopted by Sir Reginald who creates The Umbrella Academy and prepares his "children" to save the world. Not everything goes to plan though. What weapon is Gendry making Arya in Game of Thrones? Do Arya and Gendry get together on Game of Thrones? Fans are calling them "endgame"